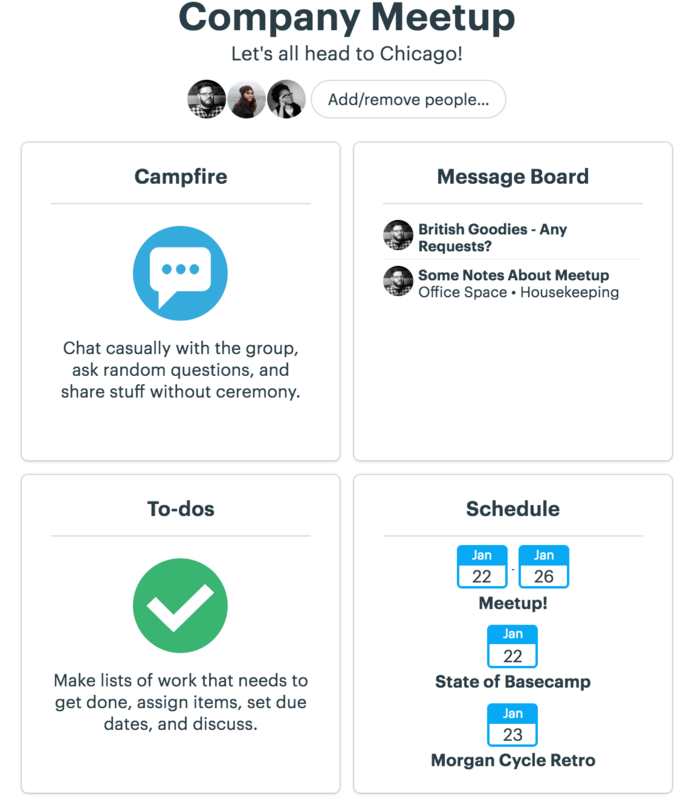 Have a few Projects and Teams you're working in all the time? Pin them for quick access! On your Home Screen, click the ... in the upper right corner of that Project or Team card. You’ll then see a quick menu where you can rename, archive/delete, or pin that project! 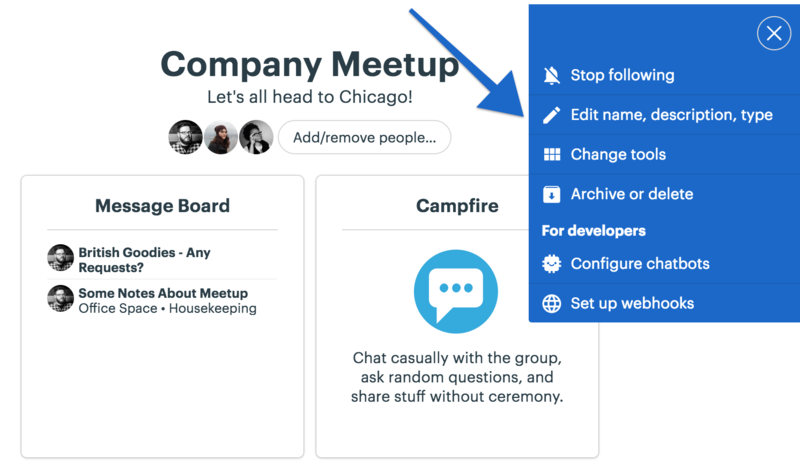 You’ll see your pinned Teams and Projects at the top of their section. 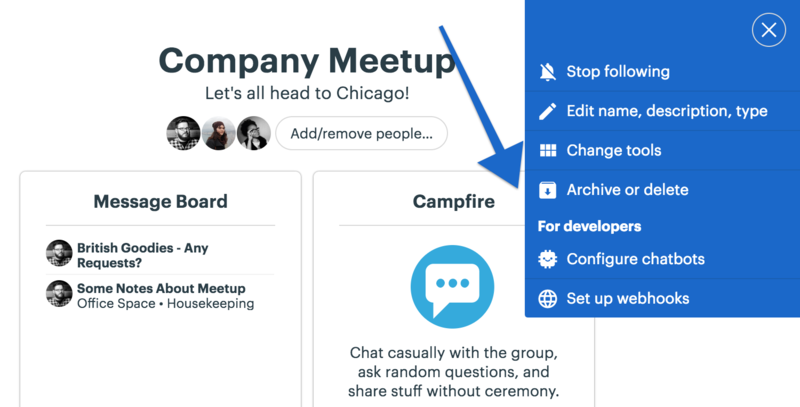 Basecamp 3 lets you organize your Projects in whichever way makes the most sense for your team. Don't need any to-do lists on this particular project? Don't enable the to-do tool. Want to keep all your puppy gifs in the same place? Drag them into their own dedicated folder in the Docs & Files tool. Every project is unique! To rearrange your tools in the order that makes the most sense for the Project, click and drag them into their new location. Wish you could rename the tools? You can! Tailor each Project or Team to the type of work you're doing, the client you're working with, or just to make it feel more like home. Archive or delete a Project: When a Project is completed or no longer needed, you can archive it for safe keeping. Archived Projects can’t be modified, but they can be viewed. It's important to note that the files in them do count toward your file storage limit. Everything stays just as you left it, and you can unarchive a Project at any time. If you want a Project removed entirely, you can delete it. Click ... in the Project card to do this. 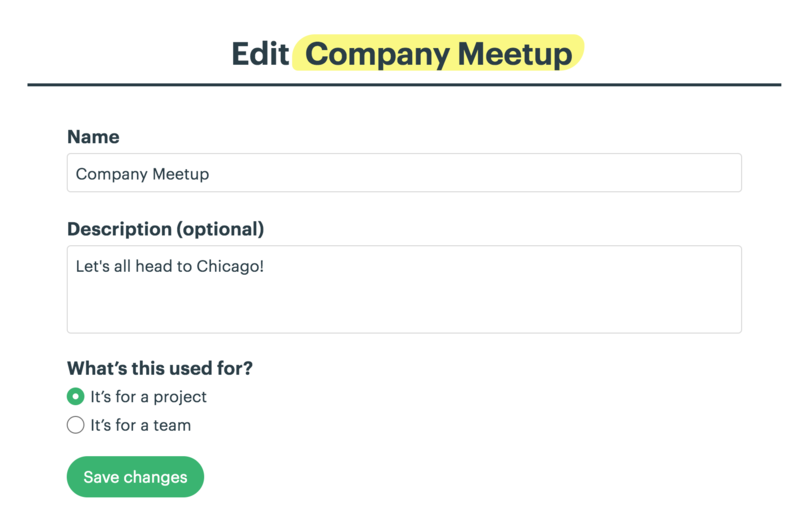 Rename a Project: Click into the Project or Team Site you want to rename and then press the settings area . Pick update name, description, etc. Make any changes you’d like to the name or description, then click the Save changes button.